EpiFresh Review: Is It Really a Good Anti-aging Cream? EpiFresh Review:Ingredients, Side Effects, Detailed Review And More. 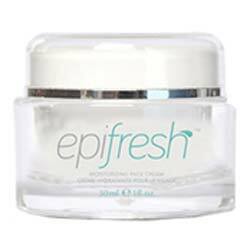 EpiFresh is an anti-aging skin cream that is meant to revitalize skin’s appearance by smoothing out and filling in wrinkles, restoring vibrancy, and moisturizing skin for a soft feel. 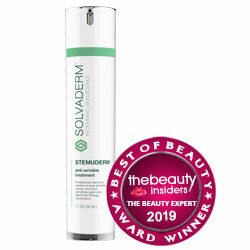 The manufacturer claims it does this by using an advanced time-release formula that makes sure the active ingredients aren’t used up by the time they reach the deeper layers of your skin.Peptides firm skin and reduce wrinkles, botanical oils repair skin and boost cell regeneration, and moisturizers nourish skin and fill in fine lines. You can only purchase this product through the manufacturer. It also seems that you can’t purchase it without signing up for the free trial that is available, first. The problem with this is that the free trial signs you up for an automatic delivery subscription program that charges you for a new jar each month. The full price of the product is not stated on the site. Also, the free trial seems impossible to actually find because all the links on the many sites that claim to sell the product lead to trials for a different cream called Revitol. What are the Ingredients in EpiFresh? Please note that the manufacturer didn’t provide an ingredient list. The list below was obtained through outside sources. Rosemary extract: It help protect skin cells from damage often caused by the sun and free radicals. Vitamin B3: It reduces topical inflammation and can help with sun damage. Retinol Palmitate: It to have anti-aging effects, so higher concentrations are used to stimulate skin repair. Aloe Vera extract: It reduce skin inflammation. Additionally, in Ayurvedic medicine, Aloe is used to effectively heal chronic skin problems, such as psoriasis, acne and eczema. Though it may also cause rashes on the skin & itchy skin. Apply the cream twice daily to the freshly-washed skin of the face and neck. Restore moisture in akin but may cause itchy rash on skin. There is no documentation backing the company’s claims of the product’s effectiveness and its ability to rival Botox results. The free trial is only 14 days from the date of purchase. The free trial signs you up for a membership program that will charge your card every month. The full price of the product is not divulged. The unnamed manufacturer of EpiFresh promises that this cream will drastically reduce signs of aging like deep wrinkles, dark spots, and sagging skin by utilizing peptides, ceramides, and antioxidants. However, the full ingredient list is not provided on the main site. Though the company claims the cream has been clinically proven effective, no actual documentation backing those claims is made available on the sites. It might be worth giving the product a shot, still, since there is a free trial, but the trial itself is a mess. You only have 14 days from the date of purchase, which means you have even less time to try the product. Then, if you don’t cancel in time, you are signed up for a membership that charges you each month. Even more troubling, the price you will be charged is not divulged. Worse still, it is unclear how you will actually get the trial, as the official links don’t even work.